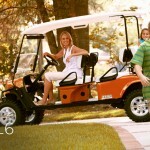 A jaunt around your residential community or a trip to the clubhouse is perfect when traveling in golf carts. These reliable and efficient personal transportation vehicles from E-Z-GO™ are just the thing for zipping around the neighborhood. There’s no need to get the SUV out of the garage when you can just slide into one of our golf cars and go. Use a golf car to travel around the golf course or take it off the road if you choose. 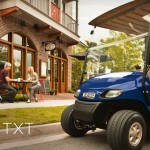 These vehicles are ideal for visits and errands to shops that are nearby. 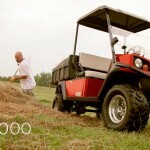 E-Z-GO builds these vehicles to be tough, yet provide the space and amenities you like when traveling even a short distance. Take a companion or a small group with you and enjoy the ride in an open-air golf car with or without a top. 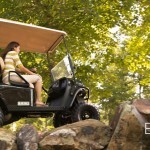 Choose an E-Z-GO golf cart that meets your needs. Contact us today to choose a golf car for those short trips. 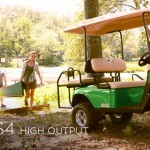 Our Orient, Ohio, company offers golf cars and accessories for sale. * Financing is subject to credit approval. Some restrictions apply. See store associate for detals.